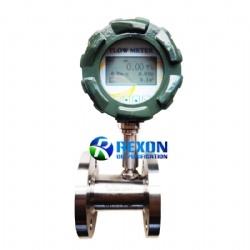 LWY intelligent turbine flow-meter (hereinafter referred to as flow-meter) is an on-site intelligent display instrument composed of sensors and intelligent display units designed and developed using advanced low-power micro-controller technology. 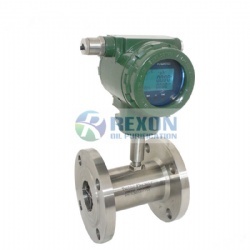 LWY intelligent turbine flow-meter (hereinafter referred to as flow-meter) is an on-site intelligent display instrument composed of sensors and intelligent display units designed and developed using advanced low-power micro-controller technology. It can display volume flow, total volume and average Flow rate, working frequency, battery power and volume pulse output, RS485 communication, 4-20mA output and non-linear compensation function; explosion-proof flow-meter can be used in explosive gas environment, anti-corrosion flow-meter can directly measure corrosive liquid. 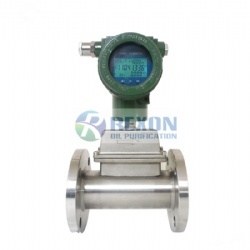 The flow-meter has the characteristics of high precision, good repeatability, wide measuring range, low flow rate at the lower limit, long service life, simple operation and maintenance, low power consumption, etc., and can be widely used in petrochemical, metallurgy, paper making, food, medicine and other industries. 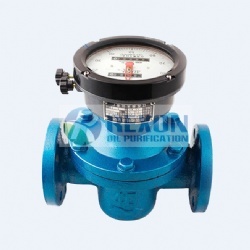 The ideal energy-saving instrument for trade settlement. 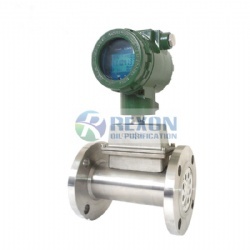 The flow-meter is suitable for measuring liquids that do not corrode stainless steel 1Cr18Ni9Ti, 2Cr13, corundum (Al2O3), cemented carbide, or engineering plastics UPVC, PP and have no fibrous particulates.